Chery Automobile&#8217;s A5, which sold as the Chery Fora in Russia up to now, has been renamed the Vortex Estina and will be unveiled at next week&#8217;s Moscow auto show. VIENNA – Russia’s OOO Taganrogsky Avtomobilny Zavod (TagAZ) has begun assembly of the Chery A5 sedan from complete-knocked-down kits sourced from China. Chery Automobile Co. Ltd.’s A5, which sold as the Chery Fora in Russia up to now, has been renamed the Vortex Estina and will be unveiled at next week’s Moscow auto show. Equipped with a 1.6L engine, the Vortex Estina carries a base price of about $15,470. A 2.0L version will be offered as well. Although Chinese cars are assembled by other Russian companies, TagAZ is the first to build from CKD kits. TagAZ also plans to begin assembly of the Chery Tiggo cross/utility vehicle in the future. TagAZ builds the previous-generation Hyundai Accent, Elantra, Sonata and Santa Fe, as well as the Hyundai Porter light-commercial vehicle, from CKD kits. Additionally, the company launched assembly of previous-generation Ssangyong Motors Corp. models under its own brand earlier this year. Models include the 3-door Ssangyong Korando, badged as the TagAZ Tager, and the Ssangyong Musso, sold as the TagAZ Road Partner. At the Moscow auto show, TagAZ will unveil a 5-door version of the Tager and a pickup-truck variant of the Road Partner, previously known as the Ssangyong Musso Sports. TagAZ sold 56,558 vehicles in the year’s first half, up 87.6% from like-2007. The total includes 38,850 Accents, 1,062 Elantras, 6,297 Sonatas, 7,015 Santa Fes, 2,316 Porters and 1,018 Tagers. TagAZ’s decision to assemble Chery cars is seen as an attempt to diversify its portfolio and decrease its dependency on Hyundai. 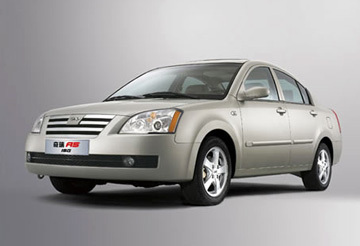 Chery cars previously were built in Russia by ZAO Avtotor, but the company phased out assembly in March. Avtotor assembled 40,002 Chery cars from semi-knocked-down kits last year, including 12,099 Tiggo CUVs, 19,831 Amulet sedans and 8,072 Fora sedans.